From all the things to do in Crete, these are the most popular tours and excursions you will find on the island. However, the experiences and adventures do not stop here. Contact us to give you our bits of advice for the tours that fill your dreams and expectations. Hersonissos is the start point. 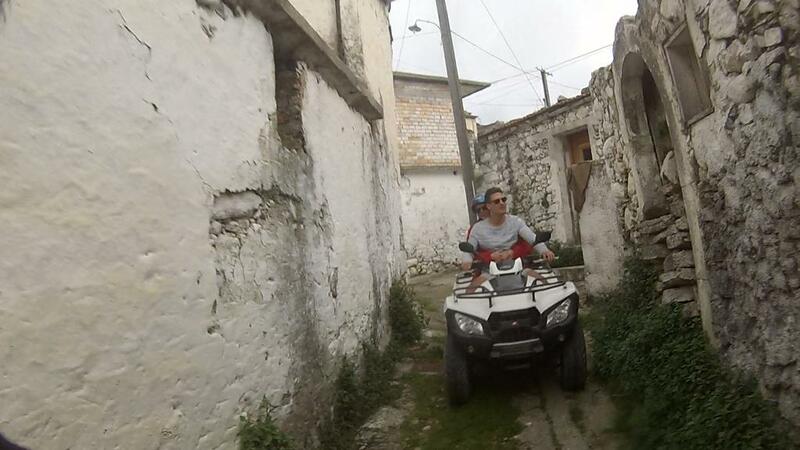 It involves going off road on the rocky Crete terrain at the northern coast of Lasithi. 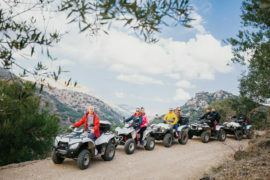 Hurling an ATV Quad bike, winding through gorges, glimpsing over nature and wildlife, accessing the rarely seen Cretan landscape is a whole level of fun and adventure. Even better, before departure, you are given the terrain directions, instructions for riding the quad bike and the necessary gear. 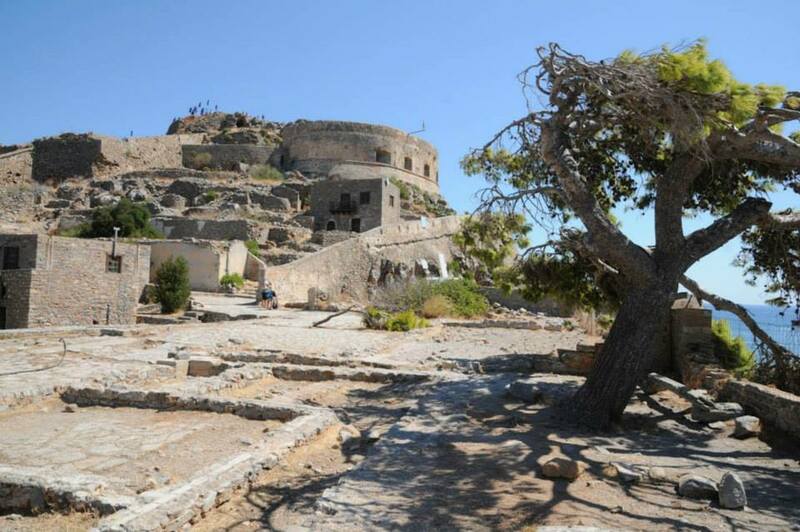 The historical Spinalonga island is a tour for the whole family that can’t be missed. Visit the last leper colony in Europe and experience the history. The Spinalonga fortress, which makes the Spinalonga Island aka Kalydon famous and a sought after archaeological site, was built by invaders in the 16th century for protection purposes for the Mirabello Bay. The pebble beach, ancient pools that were used for gathering sea salt and crystal sea waters renders the Island a popular attraction. To get to the Island, aboard a boat in Plaka or Agios Nikolaos or opt for the best option which is getting a tour guide. Summer is the best time to visit the place but don’t go there during the afternoon when the sun is high up and very hot, it can be unbearable so instead, go during the morning hours. It is good to take note of the fact that it is stair cased so wheelchairs and baby strollers won’t gain access. An interesting fact about the Spinalonga Island is that it was featured in a 2005 novel, The Island by Victoria Hislop which was later made a Greek television series. Traveling from Crete to Santorini Island is one of the must do things in Crete. The journey to Santorini can be made either by sea or air. Ferries and sea jets can be booked in different locations of the Crete Island. In Heraklion, you can board an aircraft or the fastest and most luxurious boat, the Highspeed7 which will get you there in no time. 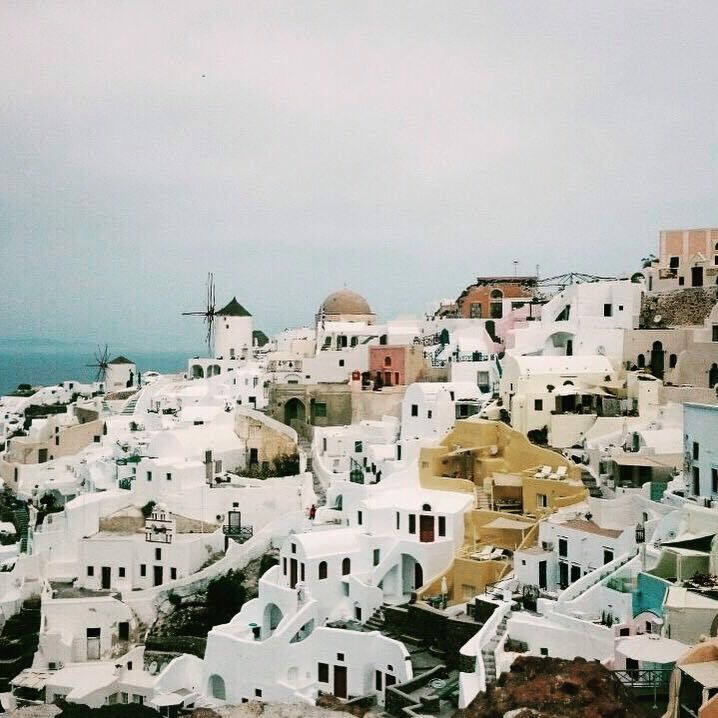 Getting to Santorini, there are tons of activities and excursions to take on as you enjoy your time there. Swimming in black sand beaches and thermal waters of the Aegean Sea, touring ancient sites, experiencing incredible sunsets, wine tasting, trying Santorini gastronomies, relaxing in beaches and hotel pools, the list is endless. You will never run out of fun stuff to do while there. The one place in the world that combines beautiful beaches, spectacular scenery, ancient cities, amazing restaurants, some of the world’s best wine, and an active volcano… It was never easier to get from Crete to Santorini island. With the luxurious and fast boat catamaran Highspeed7. This is the no1. 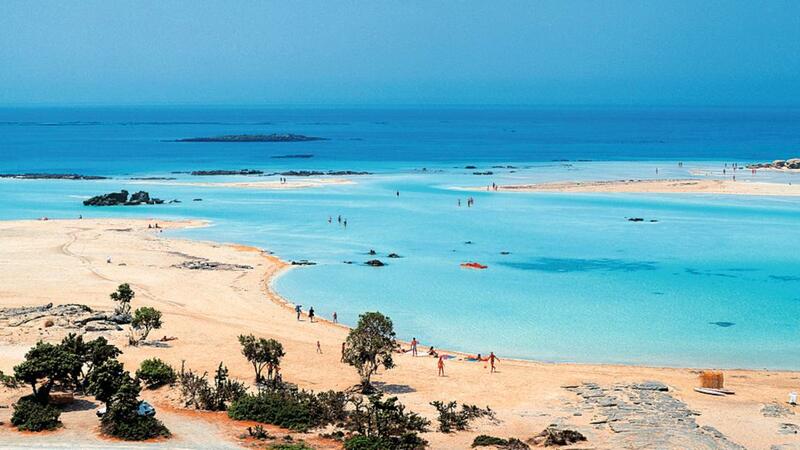 tour destination in Crete. Acqua Plus is the most popular water park on the island of Crete, for twenty years now it offers great fun and good service to more than 100.000 satisfied clients per year… Swimming pools and water slides for kids and “bigger kids”!! The 20-year-old park in Hersonissos, 30km away from Heraklion is Crete’s most popular park and the first in Balkan region. Full of fun and games, it hosts 100,000 visitors each year. Two sides, one for adults with energy busting slides, and the other for children make up the park. Furthermore, there is a garden planted with gorgeous flowers and trees at the park. To boot, its hilly locality will give you a beautiful view of the surroundings. It is well equipped with maintenance provisions and other facilities, slides, and games totaling up to 50 and beyond. With plenty of lifeguards and a doctor on standby, Aqua plus Waterpark is a rather safe place. Queuing is only heard of in Aqua plus because they have developed a system to ensure that visitors don’t wait in line to get served. The name Chrissi was derived from the golden sands covering the Island. It is also referred to as Gaidouronisi, from years ago when residents brought their aged donkeys to die from there. The Island is famous for its blue and green waters, and the infinite collection of seashells that give the sands a pink shade. A fourth of Chrissi is covered by cedar trees, which are more than 200 years old and 1meter both height and width. At the bottom of Chrissi, there are rocks from a million years back which formed through solidification after an underwater volcanic eruption. As part of Natura 2000 initiative by the European Union, there are strict rules that govern the Island. Littering, camping, smoking, animal catching, picking plants, collecting shells, starting a fire and hiking outside the marked area are all prohibited. Despite the fact that camping is not allowed, there is a villa in Lepatra with a traditional vibe where you can enjoy excellent views of the Chrissi Island. 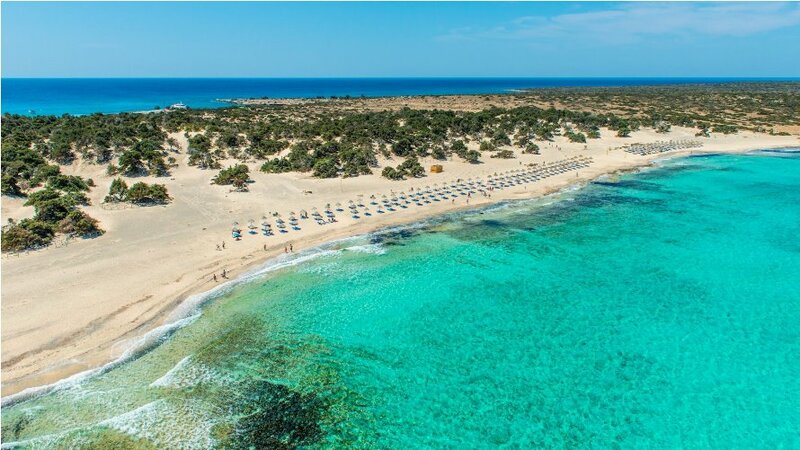 Chrissi is located 8 miles from Lerapetra on the south and covers a scope of 4,743 square kilometers, providing multiple beaches for visitors. First, there is the Belegrina beach on the north of Chrissi. It is the most popular on the Island with thousands of broken seashells and clear waters. Here, you can relax on the available sunbeds and buy snacks from the canteen. To the west of Belegrina is the Chatzivolakas beach which is rocky and has stiller waters. There is much to admire here; over 200-year-old cedars, evidence of Minoan settlement on the west, the island’s lighthouse and St. Nicholas church. On the south of the chapel, there are carved tombs with the biggest from thousands of years ago, and wells on the southeast. On the opposite side of the Island, you find the Kataprosopo beach which simply means face to face, and faces the Mikronisi islet which harbors countless birds. 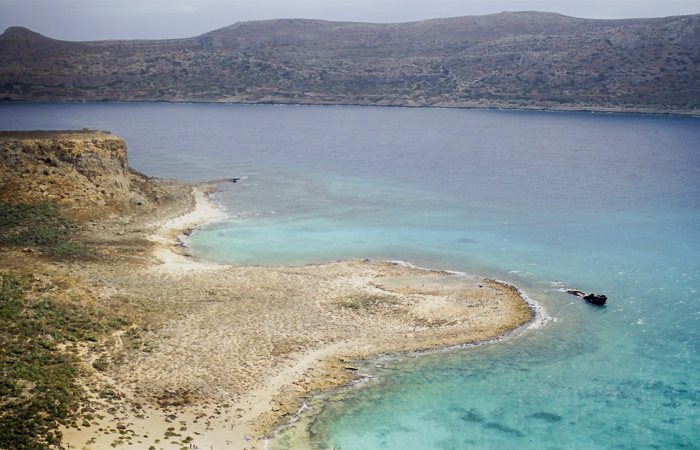 At the northwestern tip of Crete is where Balos beach lies, 53km and 15km from Chania and Kisamoss respectively. Balos beach, well known for the exotic white and pink sands, and crystalline and turquoise waters flood with visitors every summer. To beat the crowds, get there early in the morning before the Kisammos ferry that brings tourists there arrives, or, visit the place during July and August when it is offpeak. The beach waters are shallow and suitable for children but beyond the rocks, the waters are quite deep and crystal clear, good for snorkeling and scuba diving. 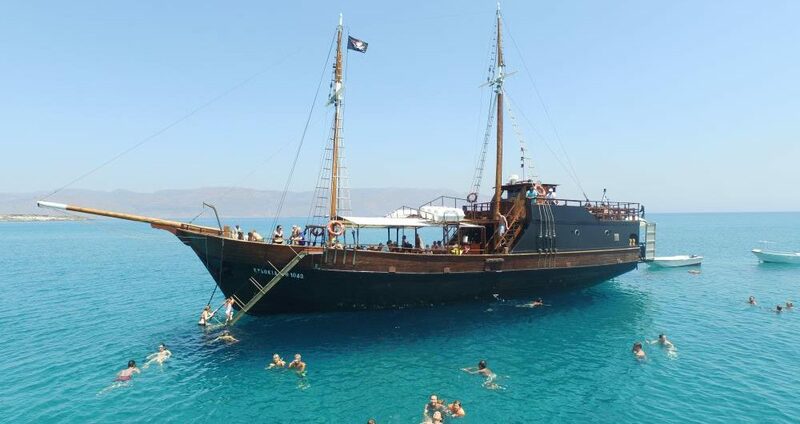 To get access to the beach, board any of the three ships from Kisammos that depart at 10.00am, 10.15am and 10.30 and later in the evening from Balos between 17.45pm and 18.00pm. Alternatively, if you have a personal or even rental car, you can drive up to the beach. 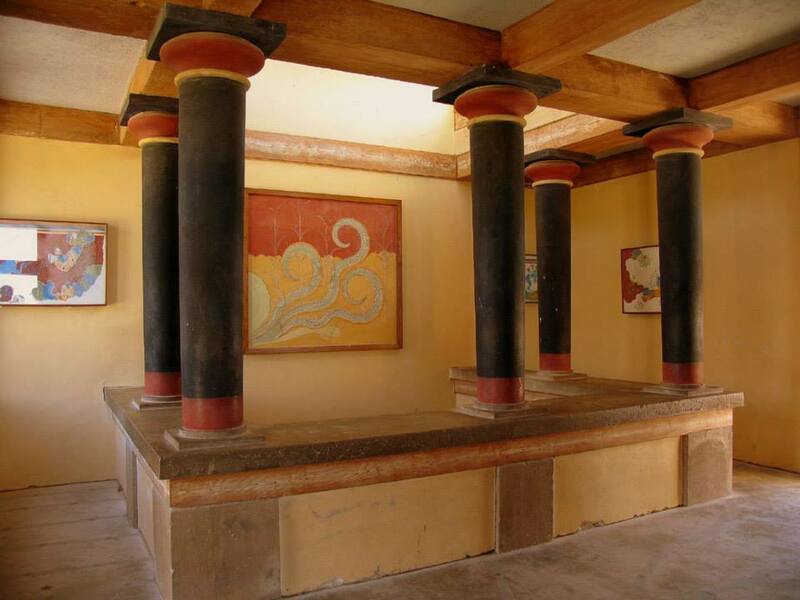 Located 3miles away to the south of Heraklion, the Palace of Knossos is said to have been the residential place for King Minos as well as his mythical Minotaur. For unknown reasons, the place was deserted around 1450. However, assumptions are that it could have been destructed by Santorini volcanic explosions or invasion by invaders. It is still not clear. It is also believed that an activity referred to as Bull-Leaping was carried out on the big courtyard within the ruins. The Gorge stretches 18km with river Tarrios running its length, with rugged cliffs on each side and believed to be among the longest European canyons. Hikers trek through the gorge for about four and a half an hour for speed hikers and six to eight hours for other hikers, depending on the speed. You are advised to carry the appropriate gear to prevent excess heat from the sun and to be able to trek through the rocky gorge with a little less struggle. Also do exercise prior to the walk for preparedness. Found in the gorge is the Samaria National Park and if you are lucky, you can catch Crete’s native goat the Kri-kri, an endangered species that is unique. The start point for the trek trail is high up the mountains at the Omalos Plateau and ends at a small village by the sea known as Agia Roumeli. The spectacular white pink-ish sands and clear Mediterranean waters are top reasons why the Efalonisi Island crowds with tourists, especially during peak seasons. At the edge of the south west of Crete Island in Chania is where Efalonisi Island is situated. Across the beautiful lagoon is an unoccupied island which harbors a chapel, native plant species exceeding 100 and a conventional lighthouse. 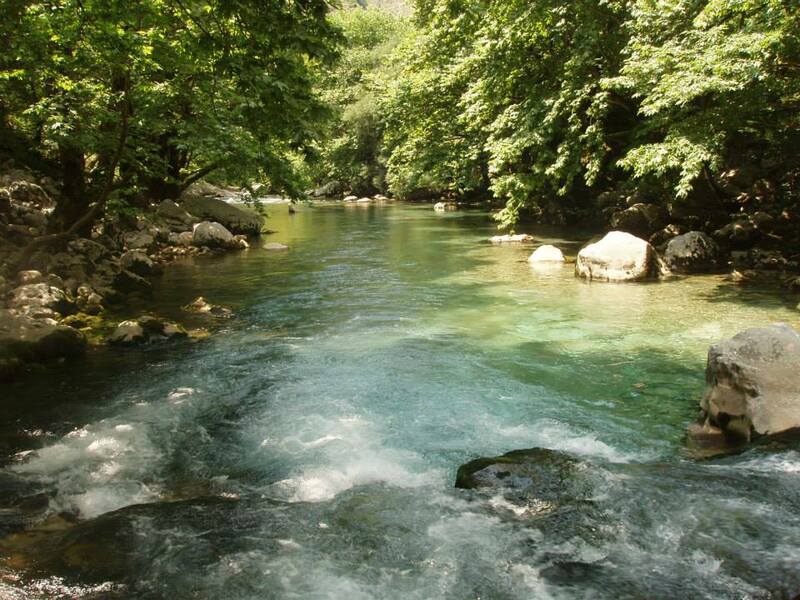 Protected by the EU environmental program, there are limitations to what you can do at Efalonisi beach. There are restraining rules for littering, camping, fires and carrying extra umbrellas (strictly use the ones provided). The crystal waters allow for snorkeling and scuba diving. To get to Efalonisi, you can catch a daily bus from Paleochora or you can use your own transport means.